Welcome to the second issue of Strop Talk! As you know, stropping keeps your knife sharp between cuts. 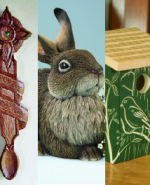 This quarterly e-newsletter is our way of staying in touch with you between issues of Woodcarving Illustrated. But did you know there is another way you can stay in touch with us? Come and see us at our 2016 Open House and Woodworking Show. 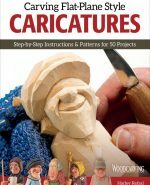 That’s right, the Woodcarving Illustrated staff, along with the friendly Fox Chapel Publishing peeps, will be out and about at this year’s show. We hope to see you there. 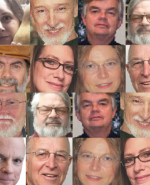 Among the expert artisans who will be teaching classes at our 2016 Open House, you’ll find two engineers, a retired truck driver, a homeschooling mom, several former teachers, and a number of other fascinating folks. Meet them online at wood-show.com. One of our most popular book authors will be signing autographs at Open House and teaching a class at Fox Chapel Publishing afterward. Meet Harley Refsal, Norway’s folk-art savior. 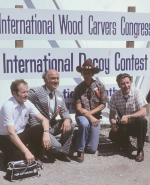 The International Woodcarvers Congress celebrates 50 years in 2016, making it the longest running competitively judged annual woodcarving event in the United States. Kathleen Ryan revisits the history of the premier woodcarving competition in America in the next issue of Woodcarving Illustrated. Click here for a sneak peek at outtake photos, old issues of Chip Chats, and more. 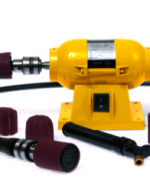 King Arthur Tools Guinevere Miniature Finishers feature miniature flexible pneumatic drums in a variety of sizes that attach to a flexible shaft. The drums can be covered with assorted grits of sandpaper or polishing materials, which makes it a one-stop shaping and finishing station for intarsia and other scroll sawing projects. Try the Guinevere and many other tools at the King Arthur Tools booth at our Open House / Woodworking Shop May 13-14. You can adjust many aspects of a digital photo using image editing software, but if you start out with an out-of-focus photo, you will always have a blurry photo. 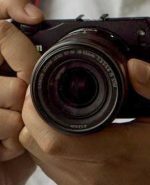 Art Director Jon Deck offers some quick and easy tips to get clear, sharp photos every time with any camera.